You've never played a comic book like this! Control a team of heroes battling evil villains across dynamic environments. Play out epic comic book battles come to life in this exciting adaptation of the hit card game. Very Positive (505) - 92% of the 505 user reviews for this game are positive. Fixed a problem when Dark Mind is destroyed with reward ongoing cards under her. Phase 2 OblivAeon now properly adds devastation tokens at end of turn. The Source of Foes shield now properly tracks Aeon Men being destroyed and moved under another card (such as Resurrection Ritual or Savage Mana). When Void Guard The Idealist replaces a hero in OblivAeon mode and draws Monster of Id, it is now automatically played. Timestream was used with cards in only 1 or 0 trashes. When Nixious is destroyed and flips To Hope For the Dawn, the card now goes to your hand. Applied Numerology now properly affects Cosmic Weapon. Fixed blurry images for Scions in the Multiverse. Various other small bug fixes and improvements have been made. What's New in Version 3.0 - OblivAeon & the End of the Multiverse! OblivAeon is a mega-expansion now available as DLC. It includes five heroes, five environments, and the final Multiverse-ending boss battle scenario! OblivAeon is $11.99 (USD) when purchased standalone, and is included in Season Pass 2, still at its pre-order price of $24.99 (USD) through Monday, March 25. If you already own Season 2, there’s nothing else to buy! The new content will be added to your game automatically once you update to version 3.0. Season Pass 2 includes the final 3 mega-expansions and 2 mini-packs. Save money and get all the content! Mini-Pack 4 includes Benchmark, Stuntman, Chokepoint, and the Celestial Tribunal. Mini-Pack 5: Void Guard includes Dr. Medico, The Idealist, Mainstay, and Writhe. 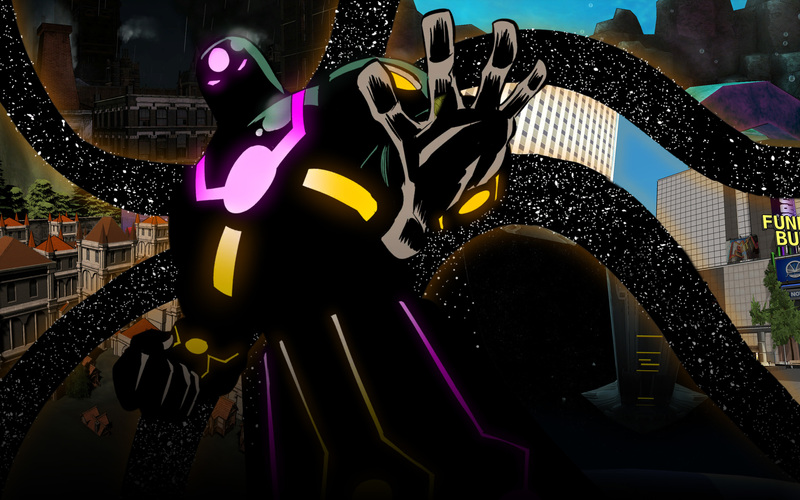 OblivAeon contains 5 heroes, 5 environments, and the final Multiverse-ending boss battle! Copyright © 2014-2019 Handelabra Games Inc.